With these words, biographer Jon Meacham eulogized President George H. W. Bush at yesterday’s state funeral in Washington, DC. The service at the National Cathedral was one of the most moving I have witnessed. 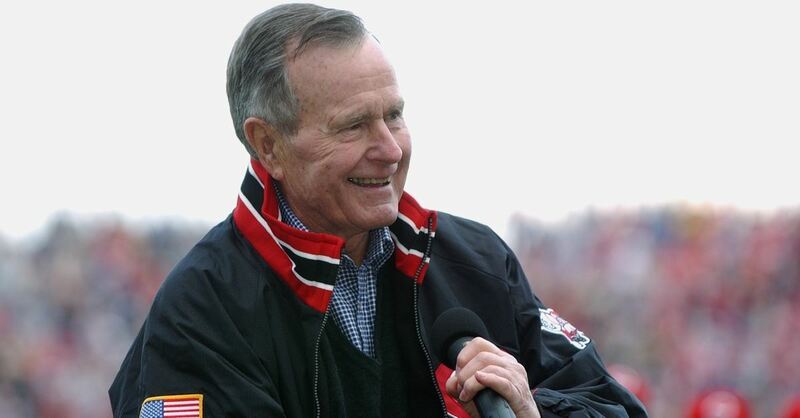 The great theologian and spiritual writer Henri Nouwen noted: “We have to prepare ourselves for our death with the same care and attention as our parents prepared themselves for our births.” George H. W. Bush was prepared for his death long before it came. According to Meacham, Mr. Bush thought nearly every day about his brush with death during the war and asked himself, “Why me? Why was I spared?” Meacham offered this answer: “The workings of providence are mysterious, but this much is clear: that George Herbert Walker Bush, who survived that fiery fall into the waters of the Pacific three quarters of a century ago, made our lives and the lives of nations freer, better, warmer, and nobler. Now let’s turn President Bush’s question to ourselves: Why you? Why me? You may be able to recall times in your life where God seemed to intervene miraculously. In addition, the Lord has likely spared each of us in ways we will not know until we are in heaven. My point is that each of us has as much reason to ask why we are alive as did George H. W. Bush. His question is especially relevant for Christians since our place in heaven is already assured. Just as a father longs to be with his children, so our Father longs to be with us. Scripture testifies, “Precious in the sight of the Lord is the death of his saints” (Psalm 116:15). Every day we spend on earth is another day we are not with our Father in heaven. Each day must therefore have a purpose so significant that our Father is willing to leave us here to fulfill it. Asking why we are here is an essential step to answering the question. The best way to prepare for eternity is to live each day for eternal purposes. It is to value people over possessions, the spiritual over the material, and the glory of God over the glory of man. It is to use your influence to change your culture for the Kingdom. Let’s start where we are with those we know. Five years ago, George H. W. Bush learned that the two-year-old son of a Secret Service agent assigned to his detail had leukemia. The boy had lost his hair, so members of the detail planned to shave their heads to show their support. Mr. Bush shaved his head as well. The agents who witnessed his kindness said they will never forget it. Would you say our culture needs more George H. W. Bushes? More women and men who love God with all their heart and their neighbor as themselves? More people who are willing to use their influence to serve their Lord and their fellow man with sacrificial integrity and humility? George Herbert Walker Bush found death to be such a friend. Will you?For more from the Denison Forum, please visit www.denisonforum.org.